Enter Your Contact Information to Get Started! This program offers children a strong foundation in essential character qualities such as courtesy, respect, and discipline. Junior Karate classes: positive mental attitude, high goal setting, and confidence! ATA Teen & Adult programs focus on high-intensity fitness and real self-defense that applies in today's world. and I'm the Chief Instructor of Karate Atlanta. I began my martial arts journey when I was a child and the positive impact it had on my life was remarkable. It was always my dream to someday run my own school in Roswell. I wanted to create an enjoyable environment for students to improve their fitness while building the confidence they can carry into their everyday lives. Take advantage of one of our amazing web specials today - join us as we empower ourselves and our community with martial arts! Whether you are looking for a sports activity for your child or for an alternative from the boring gym fitness routine, martial arts is unlike any other sport because at the core of the training, the emphasis is on personal development. Anyone can begin martial arts - any age, any fitness level. Karate Atlanta has been so wonderful for my daughter. Not only has she improved in strength and focus, but she has also grown in her confidence and self-discipline. Above all, we have valued the emphasis Karate Atlanta places on respect for others. The family atmosphere coupled with the genuine desire to see every person excel sets this school apart. The instructors are incredible with the kids, my son would choose to go every night if it was available! We came to Karate Atlanta because we knew what we needed – the challenge was to find the right place to get it. In today’s world, it’s not often that you are accepted for who you are & what you think you can do, accepted because you are capable of more than you know & never made to feel incapable, unimportant or less than others. Knowing that someone is willing to help you become better, stronger & more self-assured has helped us & our children become more…We thank you, Karate Atlanta & Mr. Poole & those who teach, mentor & provide role models for our children and ourselves. We hope that others can bring more to their families, their lives & those around them. 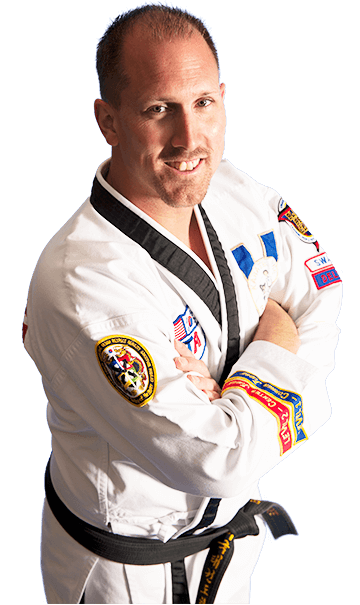 Alexander Ferrard has been at Roswell Karate Atlanta since 2004. He has grown tremendously and we have been so proud of what he has accomplished at this school. He could not have done it without a dedicated, talented, nurturing staff. Since joining karate at your school, he has become more respectful, stronger, disciplined, and focused. He has a great attitude and is motivated to be his very best at home and at school. Thanks for all you have done to make Alexander a better person — and a better karate student! My son Nick has been in the Tiny Tigers at Karate Atlanta for 7 months. During that time I have witnessed his confidence grow! In the beginning, he did not want me to leave his side. He loves his classes and has learned so much. He speaks up in class and responds with such enthusiasm. His focus and discipline at home, I believe, are a direct result of his participation in Karate Atlanta. My son Josh has learned manners from his Karate Atlanta experience. He almost always answers us with yes ma’am or no ma’am. He is also very good about saying thank you, ma’am, or thank you, sir. We had been trying to instill these traits in him before he joined and the Karate Atlanta instructors were a great help with this. Because the children learn to say these things all the time in class, it just naturally carries over into their daily lives. From my 4 year old son to my 40 year old husband, there have been not only exercise benefits but also benefits in positive thinking. My youngest daughter was enrolled prior to being diagnosed with sensory processing disorder. The occupational therapist (OT) recommended a karate program to help with balance and muscle strength. My daughter has progressed much faster than the OT expected. I attribute a large part of this dramatic improvement to karate and the Karate Atlanta staff who support and encourage their students. They promote self-improvement, not competition, that often leads to loss of self-esteem in children who have physical or other challenges. This program is helping my children acquire life-long skills that will enable them to be leaders among their peers. Matthew is loving karate! He is always excited and eager to go to his classes. In the short time that we have been involved with Karate Atlanta, Matthew has learned, and most importantly, implemented many leadership skills. His teacher’s at school have even noticed his leadership qualities. Matthew has also learned to focus better. This is still difficult at times but I can definitely see him trying. We are thrilled that an activity that teaches such great values and respect has Matthew bounding out the door each and every class day. My wife and I have been thrilled with our experience at Karate Atlanta. Our sons, Alex and Ryan, have gained tremendous self-confidence, self-discipline and an increased focus in school as a result of participating in the program. We also see an improvement in courtesy and manners that has been greatly aided by the focus your team brings to these areas. We have appreciated the genuine passion your team has for teaching our children karate and making sure they have a positive experience while in your care. They continue to experience progress and earn new belts as a direct result of your team’s hands-on coaching. 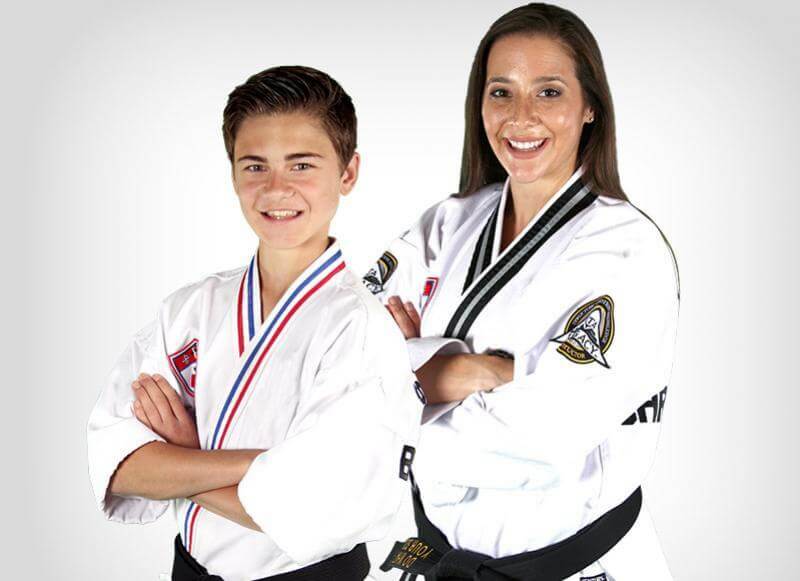 We look forward to seeing Alex and Ryan earn their Black Belts over the coming years and would highly recommend any parent sign their children up for Karate Atlanta! We have been so pleased with Karate Atlanta in Roswell. Our 7 year old son loves going to learn and has increased his ability to sit still and focus. The instructors are all great! They truly enjoy teaching the students and are patient, funny, and skilled. They really are people that you would be proud of your child to model themselves after. Not only does Karate Atlanta teach Tae Kwon Do skills, but they also teach life lessons. Our son is learning self-defense, self-awareness, self-discipline, and how to set and achieve goals. The belt ceremonies are always exciting and the students really feel a sense of pride and accomplishment. They know that they have truly earned their new belt color and will wear it with “Black Belt Pride." Karate had impacted my life by giving me confidence. Another way it has impacted my life is by making me treat other people with respect and courtesy. It is also good exercise and it’s very fun. My four-year-old son Ryan is taking classes at Karate Atlanta. He has already learned so much and loves coming to class. I am so impressed with the teaching staff. They are very TALENTED, ENCOURAGING and PATIENT! In addition to the Tae Kwon Do moves, Ryan has really improved his listening skills and ability to focus. The day after testing for his Orange Belt, Ryan received a prize at school for the winning the listening exercise in class. He was very proud! I am so glad we chose Karate Atlanta as one of Ryan’s first sporting activities. He will be able to use the skills he learns here in sports, school, and home. Thanks! When Jonathan was 7 we started him at KA. 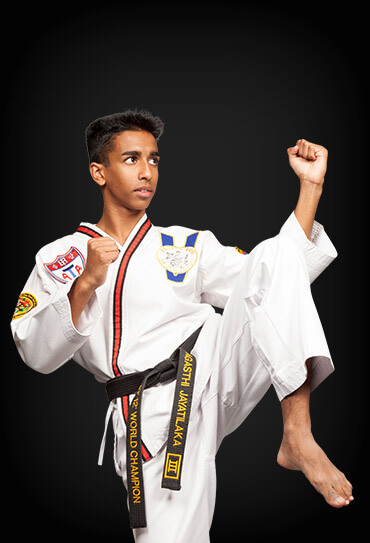 At 9 he received his 1st-degree black belt and his 2nd degree at 11. He has always practiced at home, but now he is building up a sweat doing it! Now he competes in intra-school and regional tournaments and does well. His forms are crisp and powerful and he is doing better in sparring. According to his sister, someone tried to hit him in school and he just did a gentle defensive move, did not fight, but had the confidence knowing he can take care of himself. Jonathan said KA helps in building character and discipline and is a great place. Mr. Poole has a gift of teaching, does not lose his cool, and always makes it fun. The teachers there are great. They help the kids along and give positive encouragement. When a child makes a mistake they emphasize what they did right and in a positive way, correct the student, and teach leadership skills. I enrolled Kristy when she was 12 to help with her ADHD. From the day she began, she loved it. Karate required dedication & commitment. She is now 16 years old, and a 2nd degree black belt. She is an ‘A’ student and an avid slow-pitch softball player. She had one instance where there was a softball tournament & karate testing on the same day & time. It was a hard decision but she chose karate testing. Although she had a bit of setback due to high school academics & softball, she remained firm that she would get back into karate & has done so. This shows a maturity that I believe has been achieved through the discipline taught in karate. Karate has helped transform Kristy into a successful young woman. 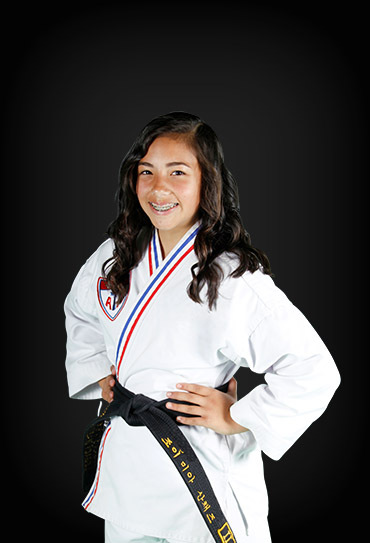 Not many female teenagers would dedicate the time & effort to get to 2nd degree black belt. I am very proud of her, & I believe she is proud of herself. I began to take class after watching my family take classes. They enjoyed themselves & my doctors all told me that I needed to exercise, especially after being diagnosed with fibromyalgia. When I began, I was on nightly medicine for the pain. Now, 2 years later, I am no longer on any medicine, & my doctor called me a “poster child” of what to do with fibromyalgia. It has taught both of my children the meaning of commitment & goal setting. Jon’s speech has improved so much that he will soon be dismissed from the speech program. He also has much more confidence & is willing to try new things. My daughter is enjoying the exercise & newfound confidence. She enjoys competing in tournaments, helping others, & has learned that practice makes better & applies this to her school work. My husband enjoys the health benefits of TKD & uses it to stay in shape & as a stress reliever. Jacob and Ben have benefited in so many ways due to their 2 years at Karate Atlanta. They have learned dedication, as they both want to continue to advance their skills and education in Karate. They have also learned respect and discipline. I am especially pleased to see the character education and work on self-esteem in Leadership classes! Keep up the great work—you make it enjoyable for kids as well as parents. 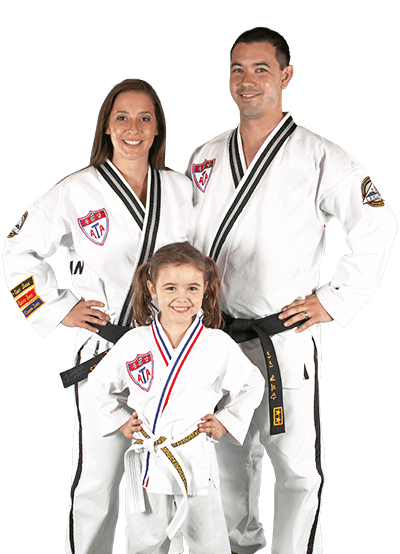 We have noticed and experienced wonderful changes within our family since starting with karate classes at Roswell 2 years ago. We moved to Atlanta from South Africa 5 years ago. Our son, Oliver, seemed very shy and withdrawn as he was having a hard time adjusting to our new home in a foreign country. The instructors were so receptive of each child’s individual needs and dedicated towards making them feel comfortable and at ease. Very soon Oliver had gained the much-needed self-confidence and self-esteem by regular attendance to classes and belt testing. Furthermore: His hard work, commitment, and concentration in karate class were rewarded and his progress acknowledged as he moved higher in ranks. I believe the value of ‘hard work = rewards’ has benefited his schoolwork as his concentration improves and he continues excelling academically. My husband and I are currently enrolled in the adult classes. When we started out 2 years ago any feelings of doubt and apprehension towards adult karate classes were immediately dismissed and replaced with much gratitude for this perfect opportunity to work out together as a family, showing the importance of exercise to our children. Our participation in karate has taught them the meaning of commitment and dedication towards goals, and not giving up. But most of all I appreciate the reinforcement of the “Yes Ma’am and Yes Sir” expressions taught at karate. This great expression showing absolute respect is now used regularly and naturally and always appreciated by the recipient. Thank you to our wonderful instructors at Karate Atlanta, for your tireless efforts and dedication towards a bright future for our children. Karolyn and I wanted to thank you so much for the leadership, coaching and friendship you have shown Matthew for the past 3.5 years on his quest to earn his Black Belt. I wanted to share a moment with you that brought me to tears after he finished Black Belt testing by breaking both of his boards and for which you may not have witnessed. He was concerned with the other two younger men who tested that day for brown belt and failed to break their boards; they were both in tears with their parents after testing. Matthew walked up to each of them, before even coming to see us in celebration, and took the time to tell each of them that “They didn’t fail, they just didn’t break the board today;” he assured both of them that they would do it next time. Needless to say, a powerful moment for any parent who wonders how their eleven-year-old son is maturing! Last week Joshua told me that he was eating breakfast at school but they were giving him granola bars with his cereal. He explained that he does not like granola bars. I asked Joshua what he does with the bars and he replied: "I take them to my class and I give it to Jeremy”. I asked Joshua why does he take him the bars and he replied ” Well he has never had a snack since the first day of school and he always looks sad, so I always get the cereal that has the granola bar so I can take him the snack. It's always best to be kind and have respect for your friends…..“. I wanted to share with you the changes that I have seen Joshua experience since he has been a student in your class. I am appreciative and thank you for guidance and look forward to many many more years as a proud parent of a student of Duluth, ATA! 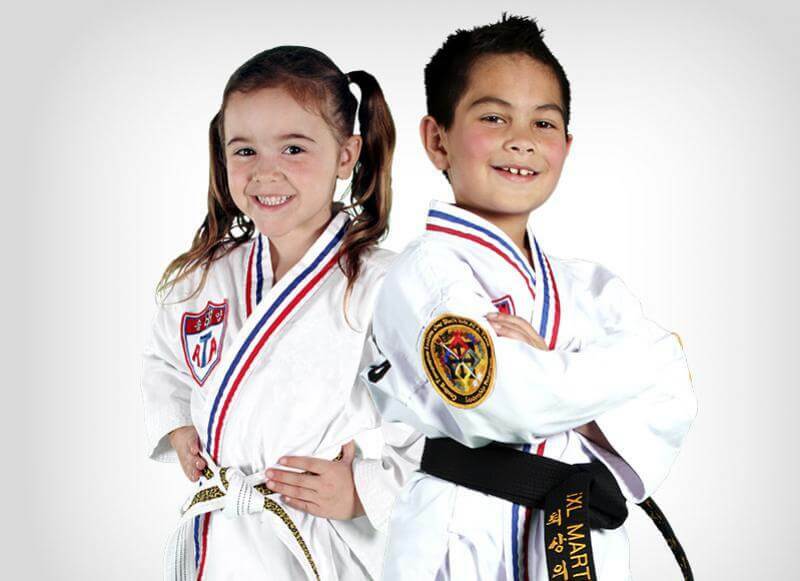 Our older children began taking taekwondo in 2014. We hoped to give them the opportunity to try something new. Karate Atlanta had an immediate impact on both of our children. They became more respectful, more disciplined, more confident, more self-controlled, learned stranger awareness, & many other valuable attributes from their classes, not to mention, all the great friends & fun times they have there. Our family unit also became more disciplined & structured. Due to academic rigor & other interfering activities, Malena no longer attends class, but still uses many of the tools learned at Karate Atlanta, her 7 magic words, self-control, & still practices Songahm1 forms. Mitchell practices almost every day & is very dedicated. He has changed tremendously & now looks people in the eye, is more respectful, exercises self-control, & is developing more confidence. I have to say my boy Isaac has loved his birthday parties at ATA so much that he asked twice to have it there. The rest of my friends and family absolutely loved it. You get to enjoy watching your children having fun while you rest, eat, and of course, laugh at all the silly things they do. The cake part is my son’s favorite part. He starts getting all excited about the party days before just thinking about how he is going to cut the cake with the big sword. He and his brother have loved every minute of their parties. I know for sure next year we will have another party at ATA just because they feel special while doing one of the things they loved the most, Karate. Thanks again to everyone who has helped make my boys' birthday party one of a kind. We will never forget those special moments. 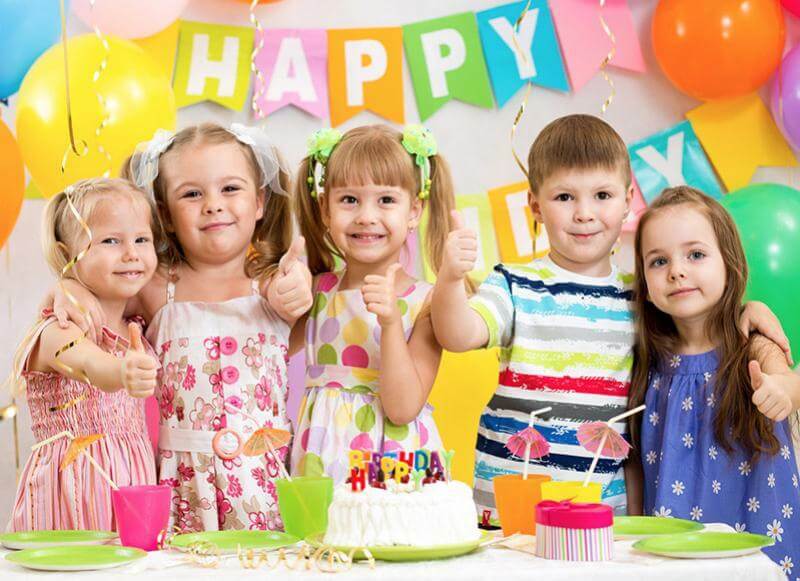 We highly recommend Karate Atlanta for your child’s next birthday party. Our son was able to show what he has learned from his Tiny Tigers class and the parents of the children were amazed at the manners and discipline that he displayed! We have recently moved out of the Atlanta area and attending another ATA center. We have realized how AWESOME Karate Atlanta is. Mr. Lower and his staff have a gift for teaching children. We are very happy with what Eshani is learning at Karate Atlanta. Eshani always looks forward to coming to class. She is all ready to go & she also knows which days & time are her classes. Her writing skills have improved a lot in last 6 months & her teacher is very pleased with her improvement & also her math skills have gone up tremendously. She has also been listening to me & using her magic words. She did set one of her major goals as improving her writing skills & she has attained it in no time. At home, she is ready to offer help when she feels like plus she tries hard to use her positive attitude. She has definitely benefited a lot from Karate as her focus in school has improved & also she is becoming a social butterfly. With her activities at the temple, she does very well in her classes & has taken part in dancing and plays.